Norway Pavilion in World Showcase at Epcot; opened on May 6, 1988. The most recent country to be added to World Showcase. 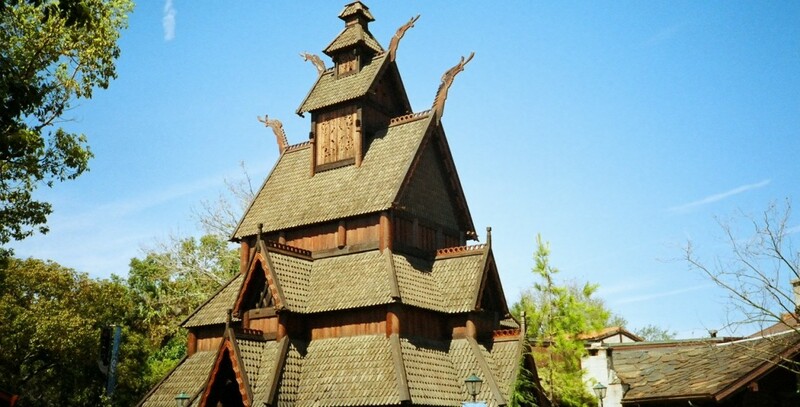 The focal point is a large stave church, in which one can see displays of Norwegian cultural objects. The architecture reminds the visitor of towns such as Oslo and Bergen, with a castle patterned after Oslo’s Akershus from the fourteenth century. The Maelstrom attraction, shops, and a restaurant are the main attractions here.